If you’ve been looking to kickstart the working week by getting some exceptional hardware at discounted price, then you have most definitely arrived at the right location. 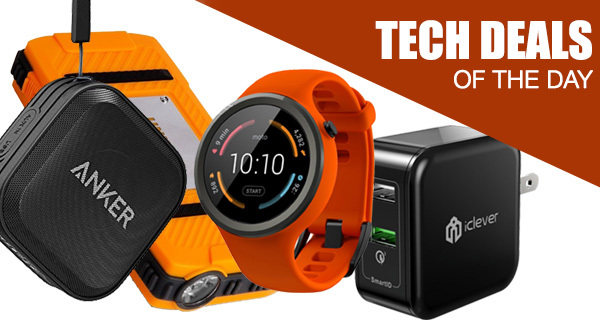 As always, we have a curated collection of technology-based items with prices slashed for a limited period of time. Check out the deals and make sure that you act quickly. Starting off, we have the Android Wear-powered Motorola’s Moto 360 smartwatch that is compatible with both iPhone and Android smartphones. There’s also a bunch of charging options. 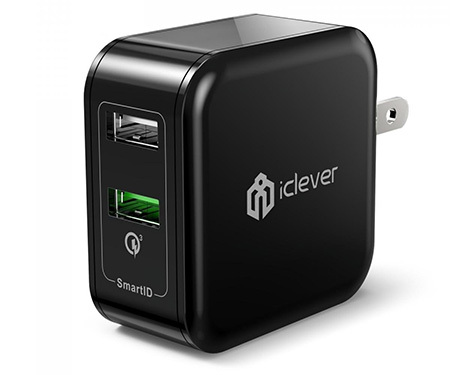 We have a Quick Charge 3.0 compatible wall charger from iClever, and a 10,400mAh waterproof power bank/portable charger to keep your portable mobile devices charged on the go. 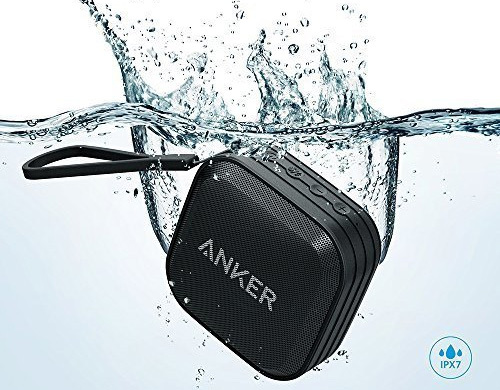 Speaking of mobile, there’s also a waterproof portable speaker from the likes of Anker which is great for traveling. As always is the case, the deals listed here are good for a limited period of time only, or till stock lasts, whichever happens first. So if there’s a product in here that you have decided to get your hands on, make sure you act quickly. So what are you waiting for? Enjoy the savings! 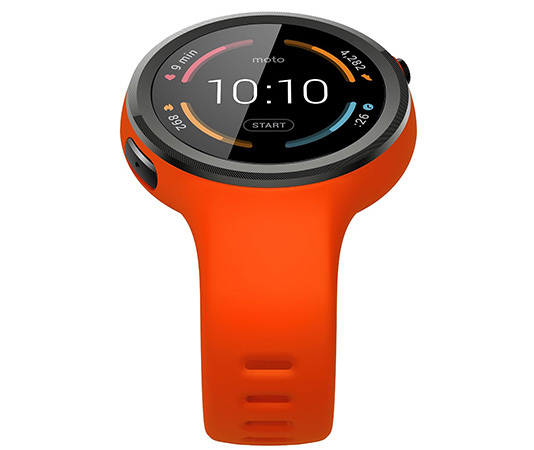 If you need a smartwatch, but want to stay away from the more main stream options, such as Apple Watch, and love the idea of giving the outsider a chance, then you may need to consider welcoming the Android Wear-powered Motorola Moto 360 Sport in your life. It comes with a classic round design, offers fitness tracking by steps, calories, and heart rate, and of course provides all notifications directly to your wrist. Sometimes you just need to plug your smartphone or tablet into a power source safe in the knowledge that it’s going to be pumped full of juice in as short a time as possible. Thankfully, with the iClever BoostCube+ featuring Qualcomm’s Quick Charge 3.0, you can rest assured that that’s exactly what is going to happen. It comes with SmartID technology, and has a gorgeous folding plug design. Make sure you grab the charger using the following promo code at checkout to get it at a reduced price of just $10: NO1QUICK. Having a Bluetooth speaker generally means that it’s portable, and able to connect directly to a smartphone or tablet to stream music on the move. This Anker SoundCore Sport product is all of the above, and it even comes with a design that’s resistant to water, dust and sand. It offers high-fidelity sound, an 18-month worry free warranty, and gives an exceptional audio experience that won’t fail to impress for the money. What’s better than having an external power pack that features an integrated 10,400mAh battery to delivery power on-demand to mobile devices? Well, having waterproof body and an embedded flashlight, of course. 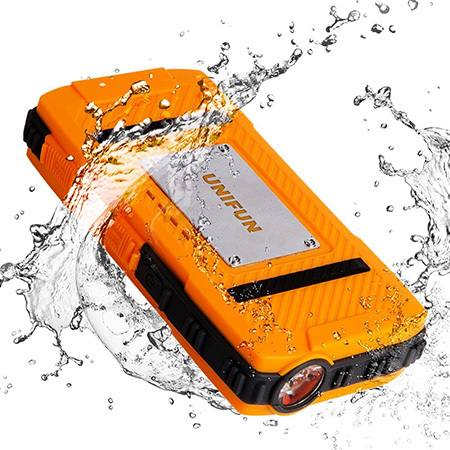 If you need something to charge your devices on the go, but want to make sure that you’re protected against water and darkness, then this is probably the product that you should be looking at. Make sure you grab the power bank using the following promo code at checkout to get it at a reduced price of just $14: MDTVY4WW.